I think it’s about time to ban the race card and Pelosi! She is the dumbest obummer puppet in the world, should be deported to Russia, they would get rid of her for us. This woman is a complete moron. Distraction – just one of their ploys her idiot boss uses daily ! 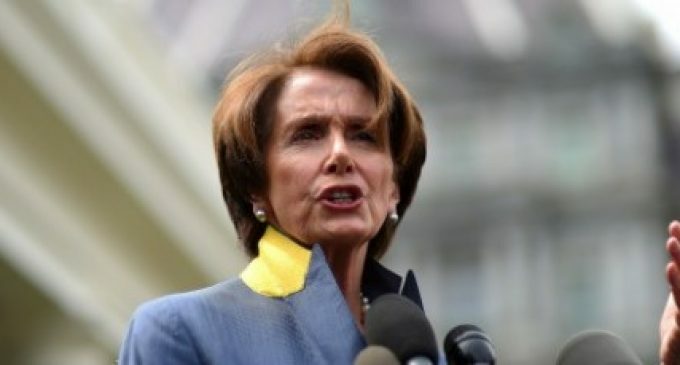 YES, WE KNOW, NANCY….ANYTIME CONSERVATIVES DONT AGREE WITH YOU DEMOCRAPS OR LIBERATS, WE ARE BEING RACIST!! YEAH, WE KNOW, WE KNOW….. RIDICULOUSNESS!!! Has she been tested for DEMENTIA yet ?? ?